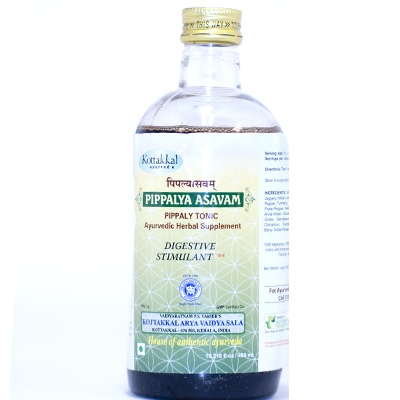 This formula is for those who suffer from liver and difgestive issues. It's main ingredient is Pepper, hence it has the ability to detoxify the body through the heat of the Pepper herb. Directions of Use: 12 – 24 ml once or twice daily, after food. Or as directed by Ayurvedic Practitioner. Ingredients: Long pepper, Black pepper, Cubeb, Turmeric, Ceylon Leadwort, Nutgrass, False Black Pepper, Betel nut, Lodh Tree, Pata root, Indian Gooseberry, Cardamom, Vetivergrass, Sandalwood, Costus, Clove, Valerian, Bigger variety of clove, Cinnamon, Beauty Berry, Ironwood Tree, water, Jaggery, Fire Flame Bush, Dry Grapes.